Robin Ouzman Hislop was editor of the 12 year running on line monthly poetry journal Poetry Life and Times from 2005, previously edited by Sara Russell, after its closure in 2008, he joined with Dave Jackson editor/admin as co editor at https://motherbird.com & Artvilla.com in 2013 & now edits both Poetry Life and Times with its Facebook page PoetryLifeTimes . 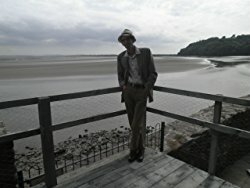 visit Aquillrelle.com/Author Robin Ouzman Hislop for more information and reviews, him performing some of his work at Performance (University of Leeds) and his latest volume of collected poems at Next-Arrivals . Submittals may be sent to robin@artvilla.com or editor@artvilla.com Please refer to our submittal guidelines at any of the sites. Core. A Sonnet by Robin Ouzman Hislop. FUD. A Poem by Robin Ouzman Hislop.